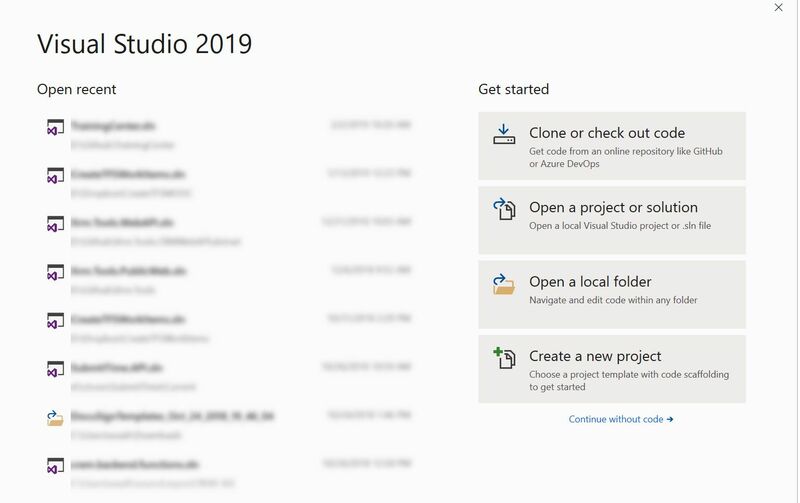 One of the things you might notice with VS 2019 is that it now has a start up splash screen attempting to make it easier to open recent work or get started with new projects. After too many times of clicking Continue without code to just open the editor I realized I should check if you can configure this. 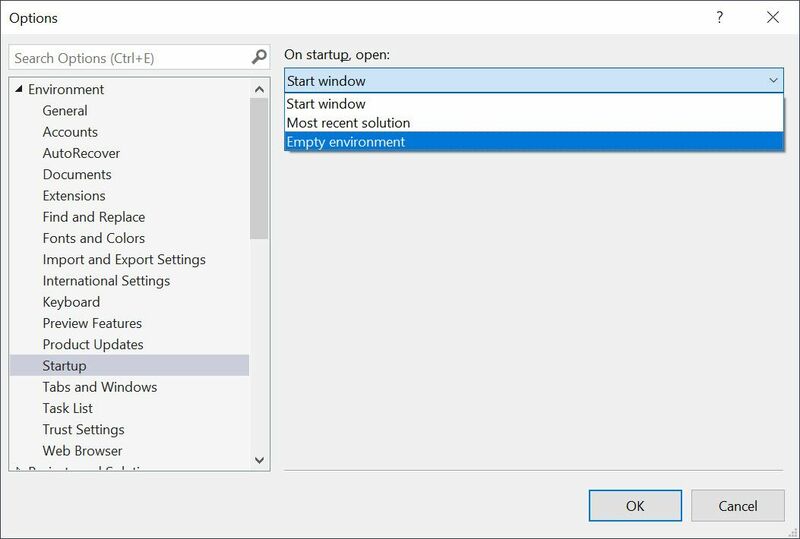 Sure enough, on the option dialog there is a Startup category where you can choose between the Start Window, Most recent project or Empty. In case you already forgot how VS 2017 worked, it had a start window but it showed in the editor without making you click continue if you didn't want it. So if you don't like the behavior of something you use take a minute to look at options you might be surprised to find a setting. Thanks to Microsoft VS team for recognizing not everyone works the same way and likes the same preferences, I hope other teams look to do the same.